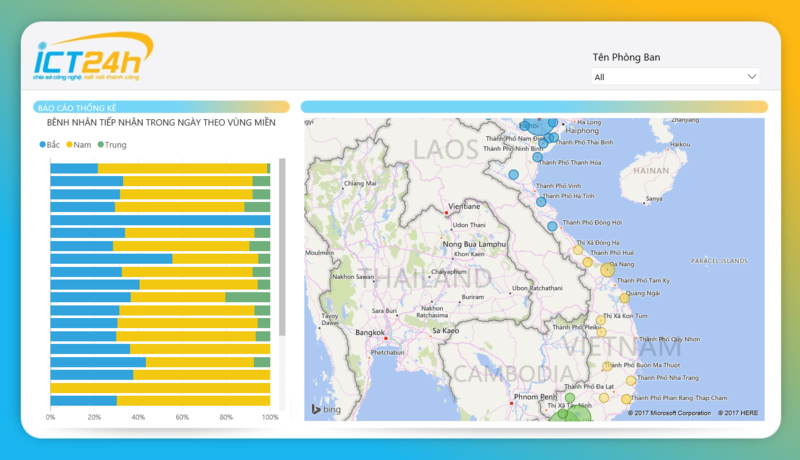 Hospital Analytics Solution uses PowerBI to analyze patient visits and daily profits. Today, data is a valuable asset in every organization - especially in Healthcare industry. For example, with data about the number of patients by location, Hospitals can offer more services to take care of patients faster by building medical stations. Realizing the need for data analytics in Healthcare, one of the solutions ICT24H provides is data analysis and analytics for Hospitals. 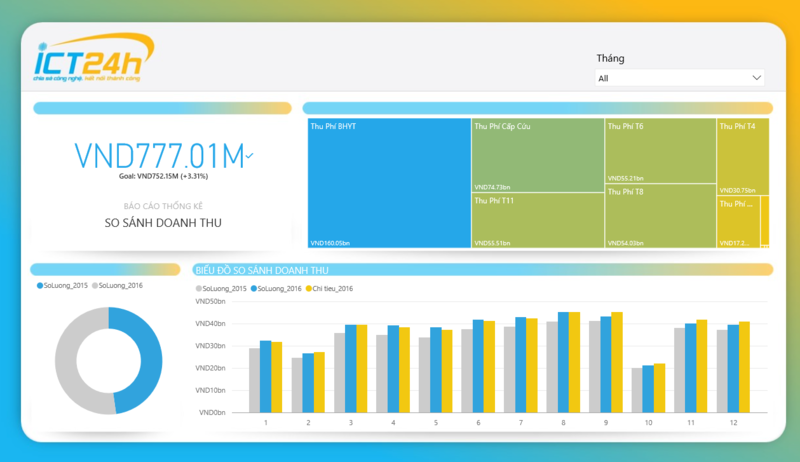 Our Hospital Analytics Solution can help customers transform their unstructured data into meaningful dashboards to enable Doctors to make better and timely decisions. 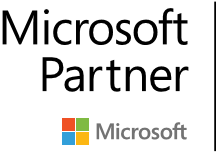 This solution is powered by Microsoft PowerBI – a phenomenal cloud-based business intelligence and analytics tool. The report and accompanying video provide a quick look at what we have recently built for one of the biggest hospitals in Vietnam, serving 10,000 patients every day. 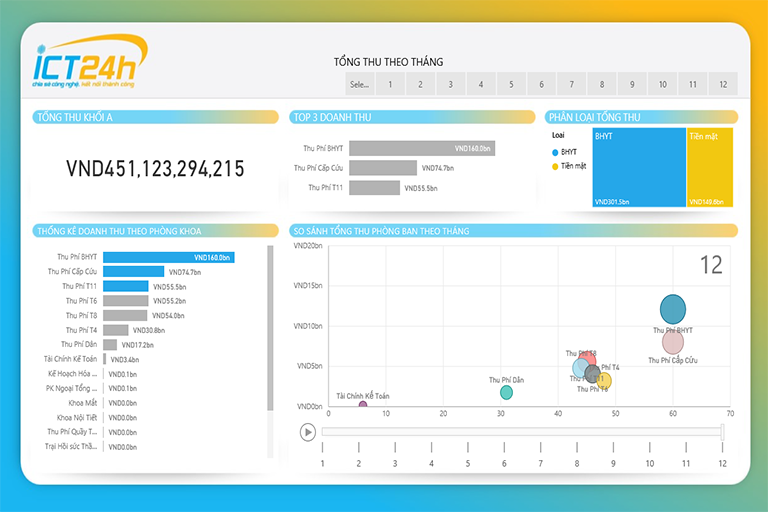 ICT24H Online Solution is a leading Vietnamese IT Services company focused on digital transformation with Microsoft technologies with experience across several different key Microsoft products including Microsoft Exchange, SharePoint, Office 365 and Azure.